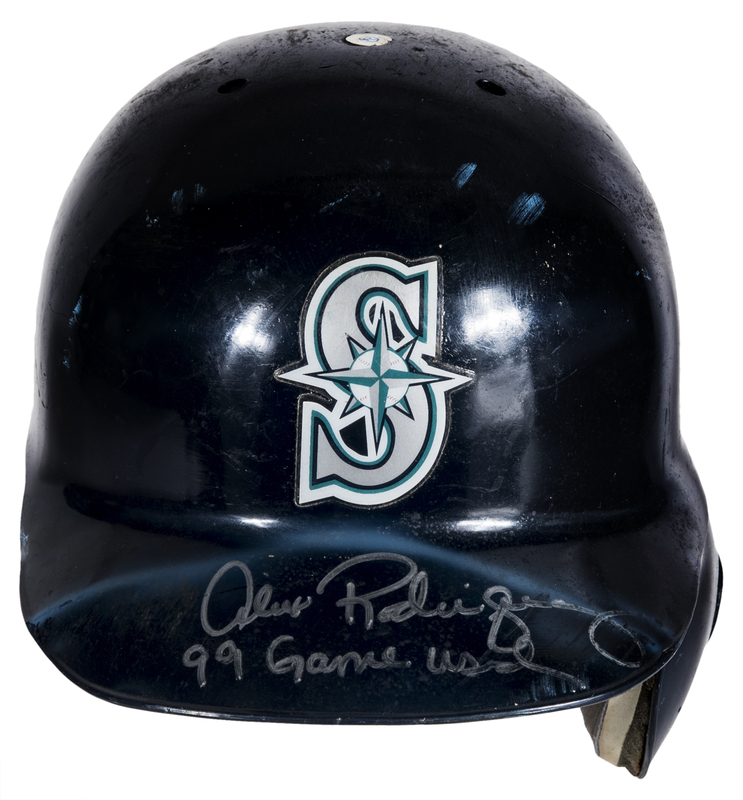 Seattle Mariners All-Star shortstop Alex Rodriguez wore this navy Mariners helmet during the 1999 MLB season. Rodriguez, in his age-23 season, was one of the most dangerous players in baseball that year. The former number one overall draft pick hit .285 with 42 homers and 111 RBI while scoring 110 runs with 23 stolen bases. Rodriguez earned his second consecutive Silver Slugger award at the end of the season. 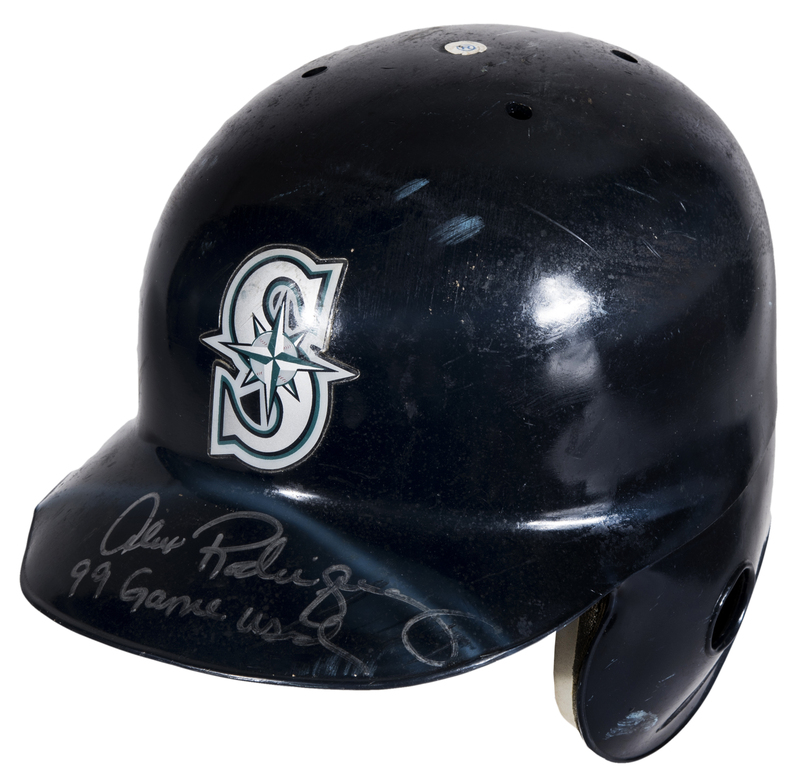 This offered batting helmet has a flap over the left ear and is a size 7 1/8. 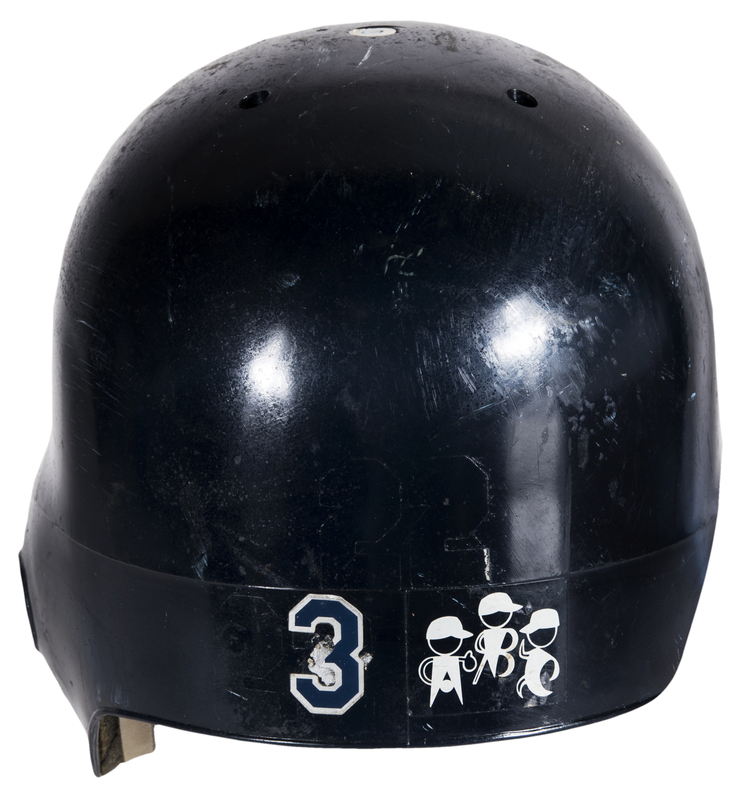 A Mariner’s logo is applied to the front of the helmet, while Rodriguez’s number “3” and an ABC logo are applied to the back of the helmet. 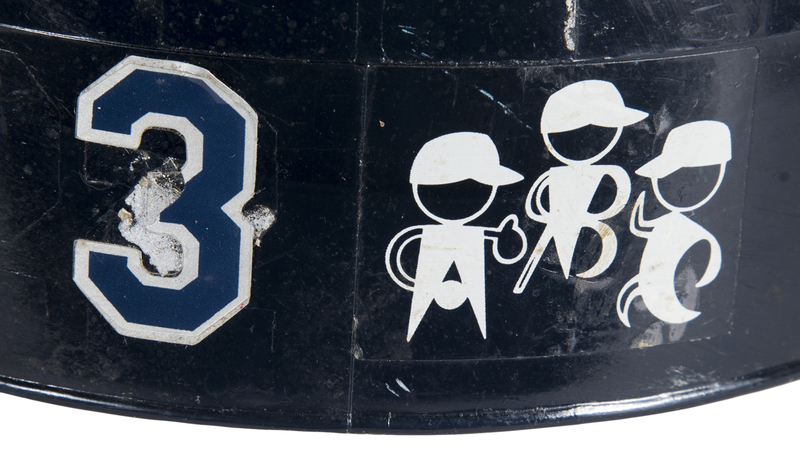 Please note the number “22” was removed from the back of the helmet according to JT Sports. 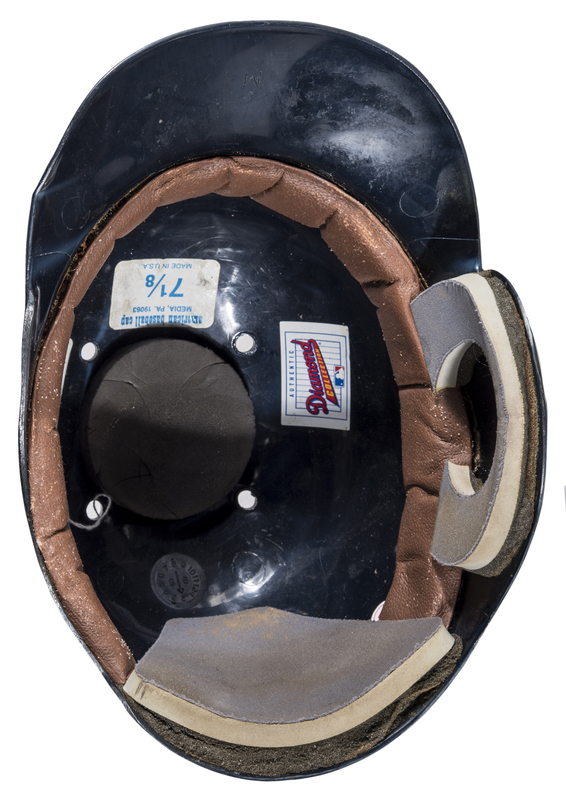 The padding for the back of the head is no longer attached to the helmet. 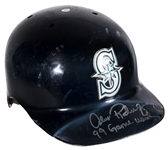 Rodriguez has signed the brim of this helmet in silver marker, inscribing “99 Game Used” in addition to his signature. 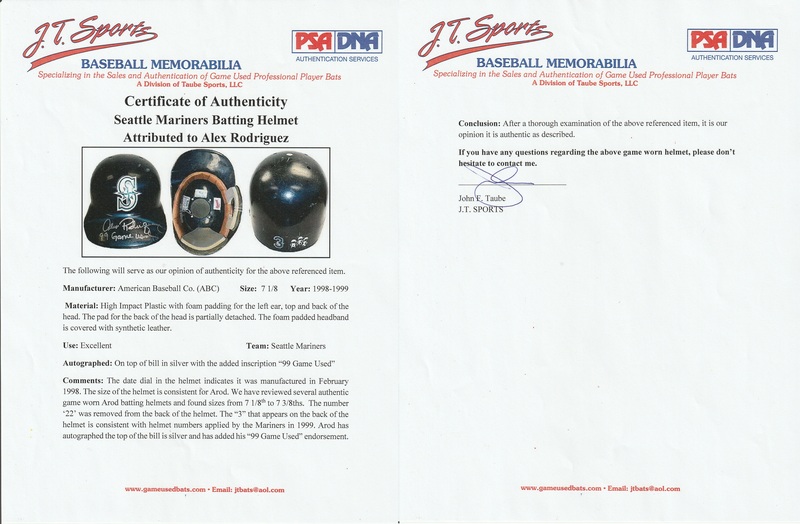 This helmet comes with a COA from Beckett Authentication Services (G38018) for Rodriguez’s signature and a LOA from JT Sports for the game use.